Will your application work efficiently even if it’s overloaded? One needs to make sure of this, much before the app goes live. But how to ensure this? Load testing is meant exclusively for that purpose. Load testing is a methodology that is used to test the application under various load conditions. It is highly advisable in software development because you can’t afford to take a chance. These tools test the software’s capability in handling a real-time load. You can also see this Network Penetration Testing.. 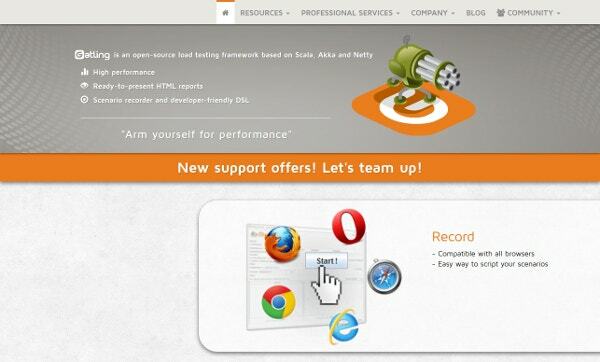 The Gatling testing tool is used as a load testing tool for analyzing and measuring the performance of a variety of services with a prime focus on web applications. It is a Scala-based, high-performance load and stress testing tool. The Gatling testing tool enables you to define your base URL that you will be using to run your tests against. It further helps in defining other configurations like user agent, language header, connection and so on. 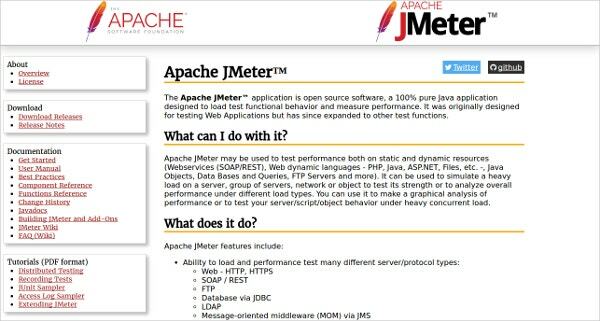 Apache JMeter testing tool is an open-source desktop Java application which is specifically designed to test load and analyze the performance of a website. 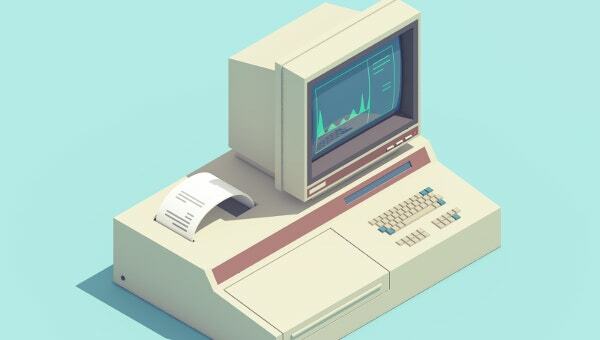 It can be used to simulate a heavy load on a server, group of servers or network, to analyze the overall performance under various conditions. It can be used to make a graphical analysis of performance or to test your server under heavy load. Tsung testing tool is an open-source software product which is available for free of charge. It is a protocol-independent tool that can be used to stress various servers like Jabber/XMPP, HTTP, SOAP, LDAP etc. This tool can simulate a large number of users per server, which makes it ideal for analyzing and testing performances of large-scale applications. 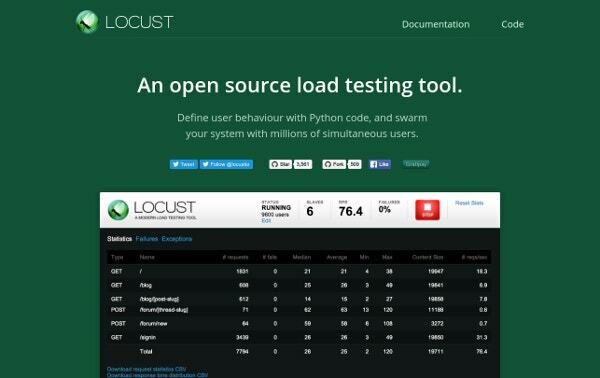 Locust is an open-source load testing tool written in Python. It allows users to design tests against their web application which mimics the user’s behavior. Then, it runs the test at a scale which further helps in finding bottlenecks and other performance related issues. The most important feature of Locust testing tool is, you can describe all your tests in Python code. 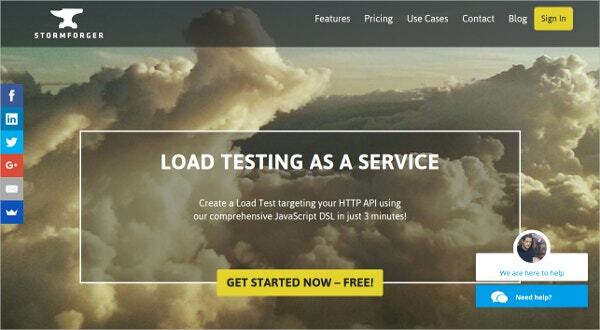 NPM load testing tool runs load tests for your web applications. It is the most compatible load testing tool around and it provides an option to force requests per second. It also includes an application program interface for automated load testing. 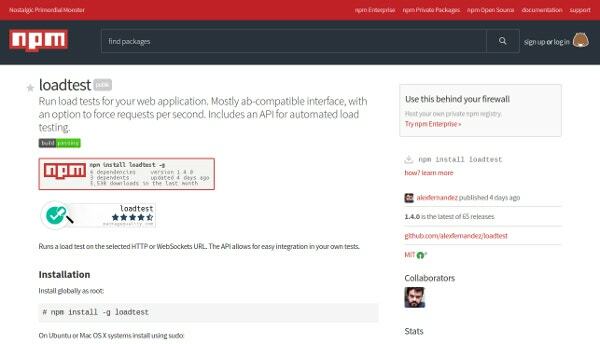 NPM load testing tool runs a test on the selected HTTP or WebSockets URL. 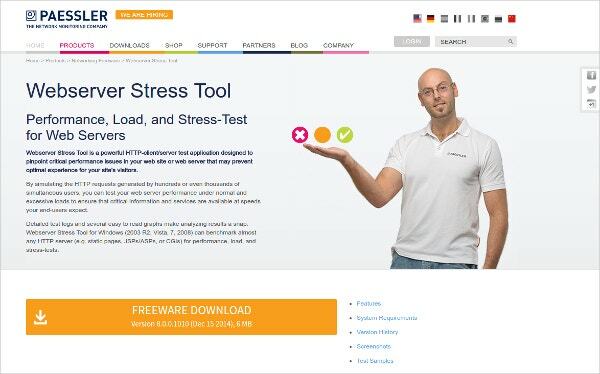 Paessler HTTP Webserver Stress Tool is a dynamic HTTP-client/server test application designed to highlight critical performance-related issues in your website or web server. You can also test your web server performance under normal and excess load by simulating the HTTP requests generated by thousands or more simultaneous users. 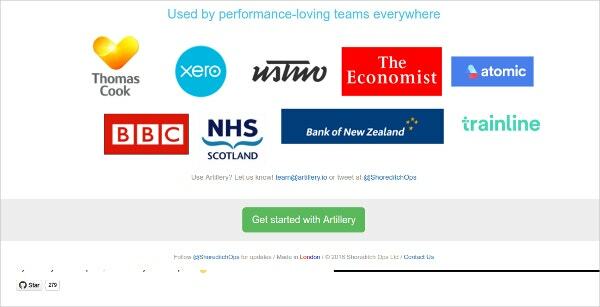 Artillery testing tool offers you everything you need for load testing, stress testing, and benchmarking performances. It further helps you if you want to test a complex application program interface or a website. 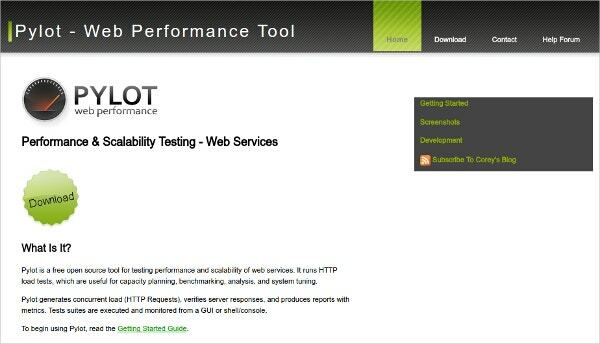 Pylot is a free, open-source tool for testing performance and scalability of web services. It performs HTTP load tests, which further helps in capacity planning, benchmarking, analysis and system tuning. Pylot is a multi-threaded load generator and it provides real-time statistics as well. Siege is an HTTP load testing tool and it is used for benchmarking purpose. It is designed to assist web developers in measuring the performance of their codes under duress to see how they sustain to load on the internet. 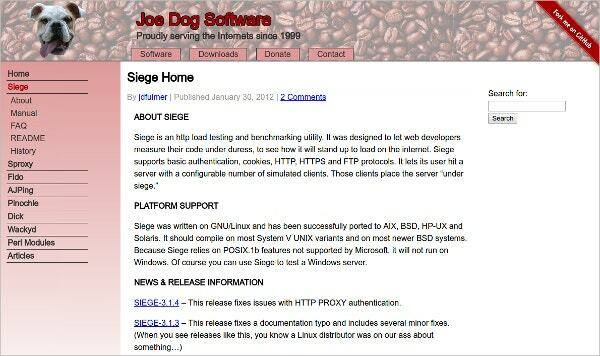 Siege supports basic authentication, cookies, HTTP, HTTPS, and FTP protocols. It allows its users to hit a server with a configurable number of simulated clients. Those clients put the server “Under Siege”. 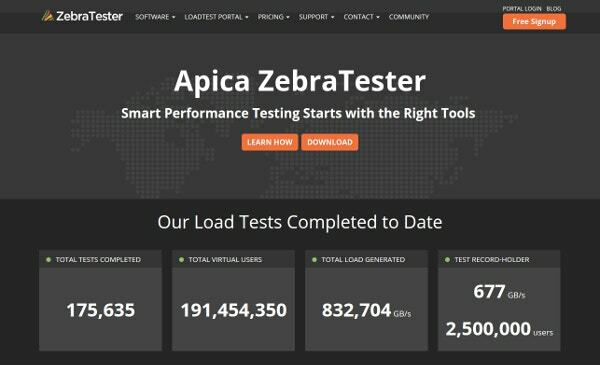 Apica Zebra Tester is an enterprise-level load and stress testing product which is trusted by many of the world’s largest companies and organizations. It enables users to test loads of almost unlimited strength and the result that it provides is unparalleled to other similar testing tools. This tool can run on Windows, MAC OS X, Linux, and Solaris system. 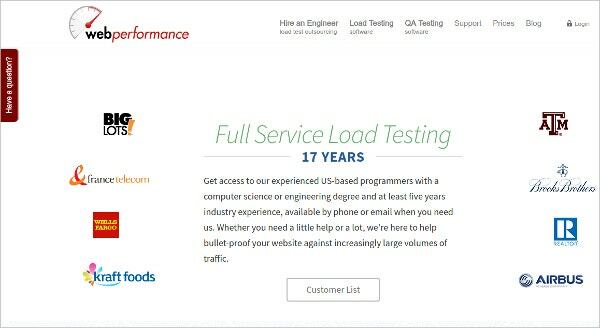 WebPerformance load testing tool enables to measure your site’s capacity, based on either simple performance goals or complicated service level agreements. The HTTP-based record and configure load testing makes the process of load testing as easy as clicking on a link on your website. Is your website, server, or service living up to the standard of delivering the required speed limit? It is essential for the long-term health of your organization. You need to be 100% sure that your latest features aren’t affecting the overall performance or causing a memory leak. There is only one way to verify that and that is by regularly checking the performance, and HTTP Load Testing Tools helps in fulfilling this task.